Sequoia sempervirens – coastal or Californian redwood – is usually simply known as ‘redwood’ to New Zealand growers. The species originates in a narrow coastal strip running from northern California to southern Oregon. The area of redwood in New Zealand is estimated to be around 10,000 hectares (2018), and has steadily increased over the past decade. ‘Giant’, ‘Inland’ or ‘Sierra’ redwood (Sequoiadendron giganteum) is also grown throughout New Zealand but rarely at commercial scale. NZFFA Redwoods Handbook – the most comprehensive source of information available for growers. Part of the NZFFA Best Practice with Farm Forestry Timber Species e-handbook series. 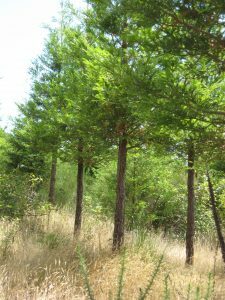 NZFFA website redwoods section – a selection of information including Tree Grower articles and grower videos. 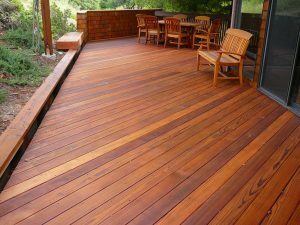 Redwoods section of the NZ Wood website – good information on properties and utilisation. 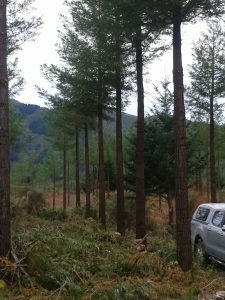 The New Zealand Redwood Company website – the NZRC is New Zealand’s largest single grower of redwoods and also promotes the species and supports other NZ growers. The redwoods: FRI Bulletin 124, Pt 13, Introduced forest trees in NZ – Recognition, role and seed source. NZ Forest Research Institute 1994. More detailed description of Sequoia sempervirens, Sequoiadendron giganteum and related ornamental species, from seed source to processing and timber properties. Heartwood durability study, which developed a new method for assessing redwood durability. The study concluded that young NZ-grown redwood has similar heartwood durability to second rotation Californian-grown redwood (MPI SFF Project 408110). Characterise interactions between mycorrhizae and fungicide on redwood seedlings in the nursery. Redwoods have a wide range in New Zealand, and can be found growing well on selected sites throughout the country. are thought to have very good market potential in the USA, where supply is now limited. A uniform crop, pruned for clearwood, Conway Flat, North Canterbury. A young stand following first pruning lift. 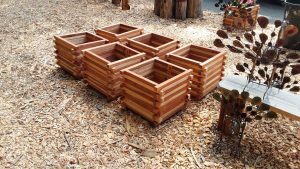 A versatile product – one of many uses for small piece size redwood!